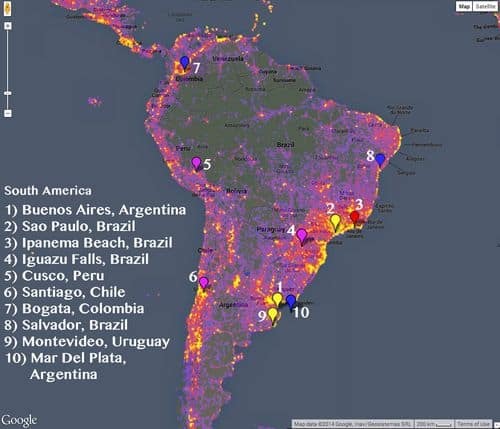 It's called SightsMap and it uses Google Map's Panaramio platform, Wikipedia and FourSquare to determine what everyone is taking photos of these days. The interactive heatmap, organized by photo concentration, lets you view the maps at various street levels. So you can view the most photographed places in your country or your neighborhood. 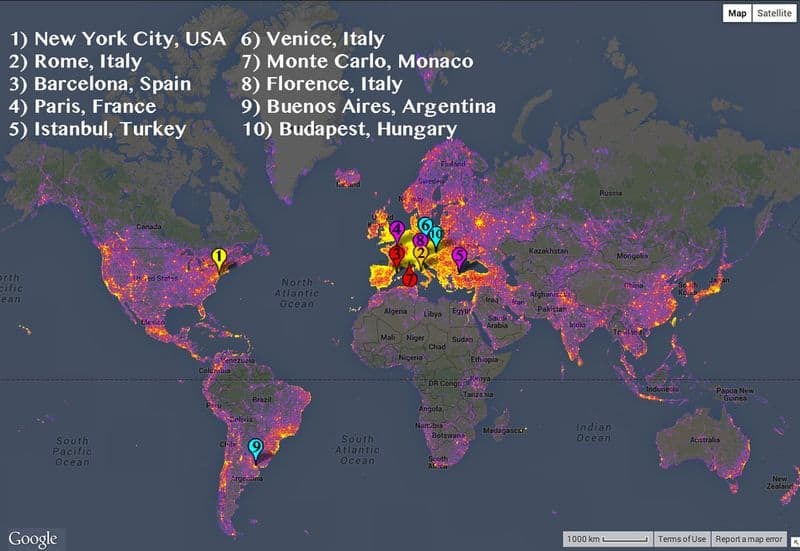 So, where are the most photographed places in the world, according to Google? While an American city (New York) takes the top spot, Europe dominates the world when it comes to being photographable. Eight out of the top 10 cities are located on the continent. 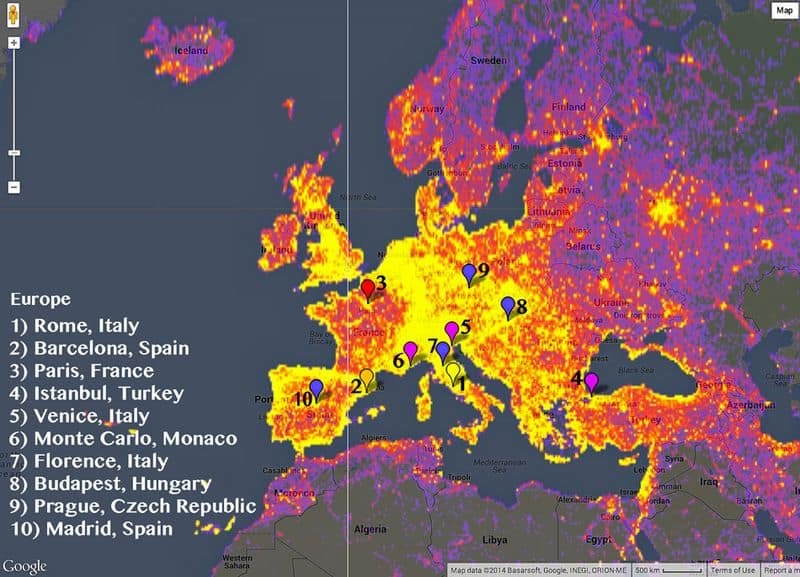 When you zoom into Europe, Prague and Madrid make an appearance as desirable destinations for photographers. 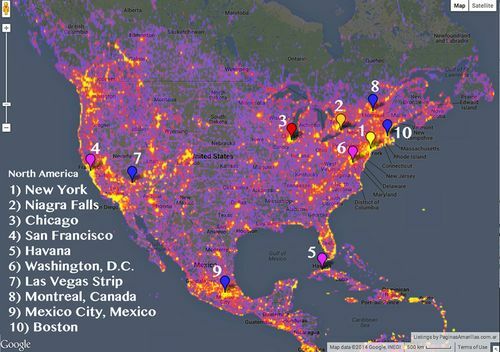 While nowhere near as lit up as Europe, North America has it’s own hot spots. Most of these are on the coasts, with Chicago and Montreal representing more inland. Most of the American locations are also on the top 30 list in the world rankings. 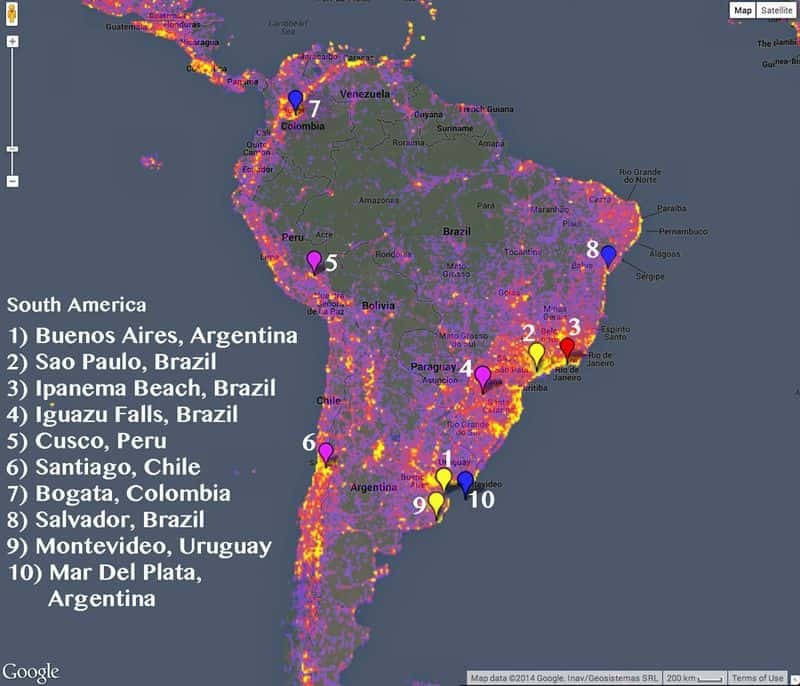 South America holds its own against the rest of the world. Their top 10 is divided between ancient landmarks and modern metropolises. 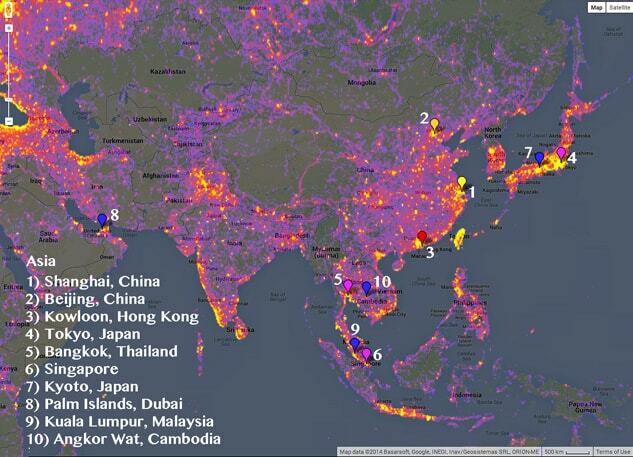 Asian's most photographed places are clustered around the East Asian cities. While the Middle East makes an appearance, Dubai’s Palm Islands (a pair of man-made islands in the shape of palm trees) isn’t exactly representative of the region. While other countries have some isolated hot spots that get them on the list, Japan is definitely the winner.